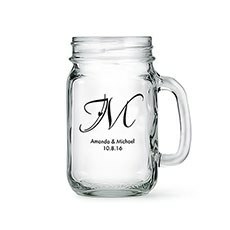 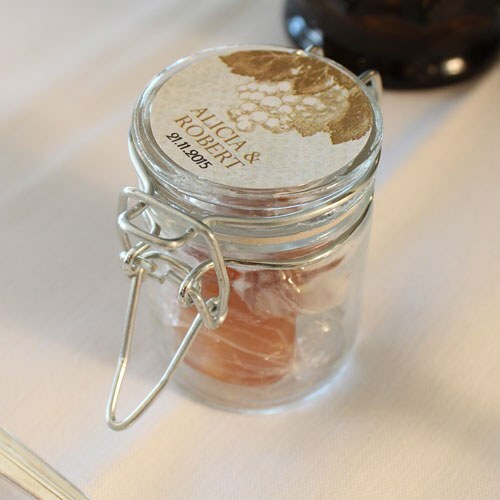 These mini glass jars offer endless possibilties for DIY enthusiasts and are a terrific favor idea for a casual country theme or vintage inspired wedding. 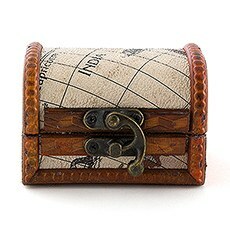 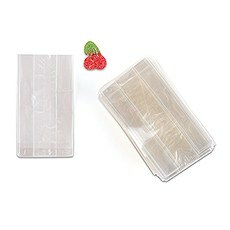 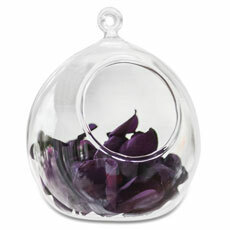 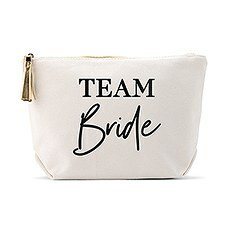 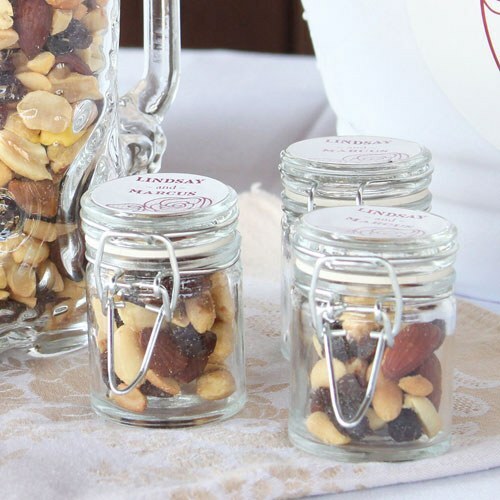 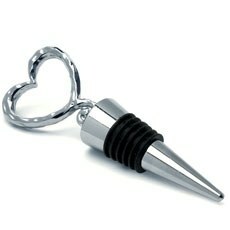 Fill with candies, nuts, cocoa, honey or even home-made preserves or any other edible treat that suits your fancy. 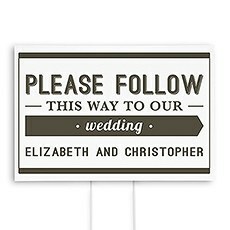 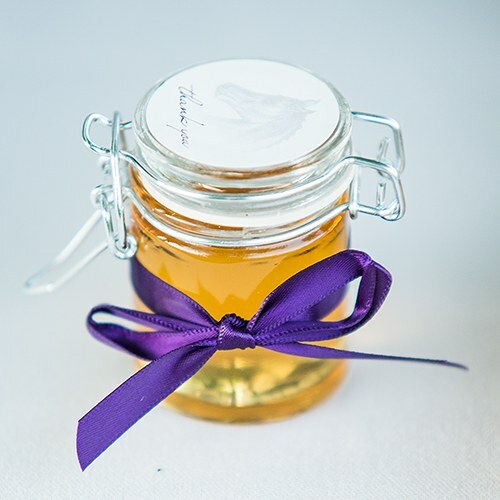 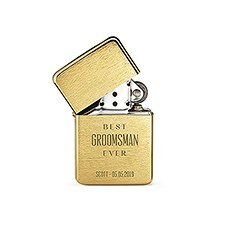 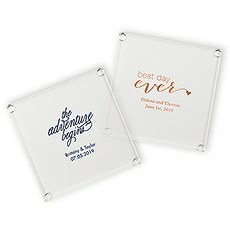 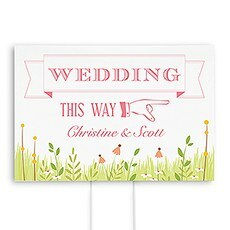 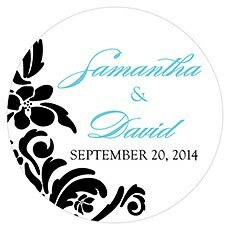 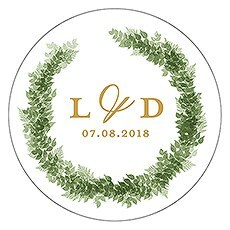 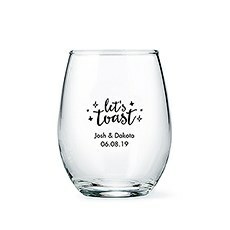 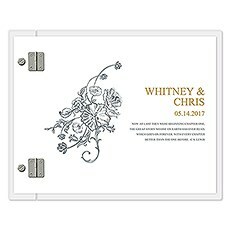 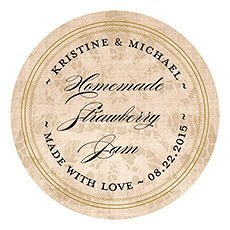 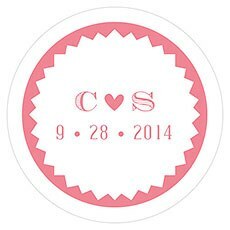 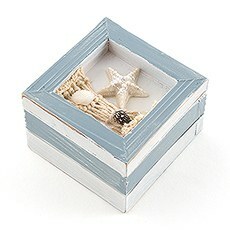 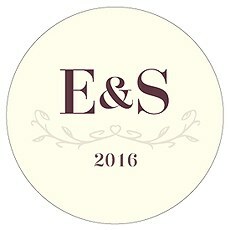 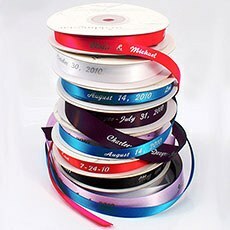 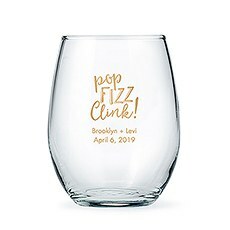 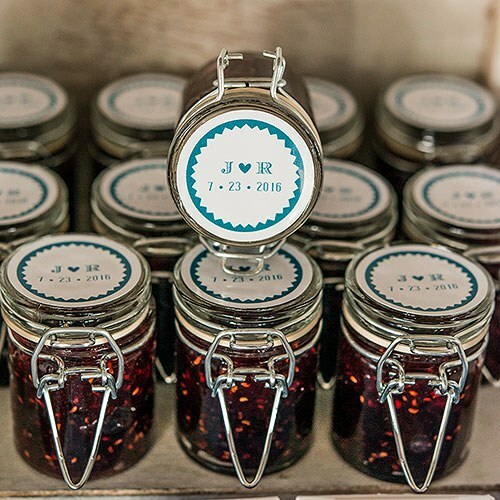 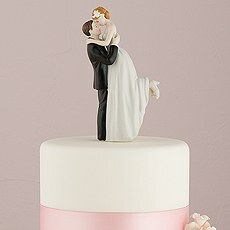 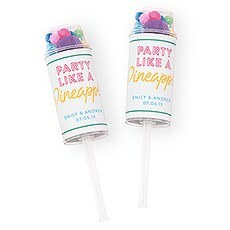 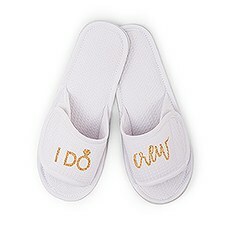 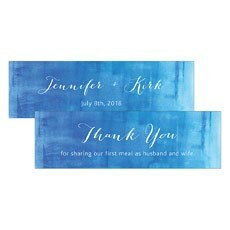 Finish with a personalized sticker or tag to create a favor your guests will love to take home. 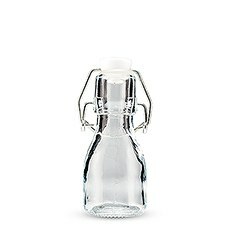 Q: Can the glass bottles hold liquid without spilling? 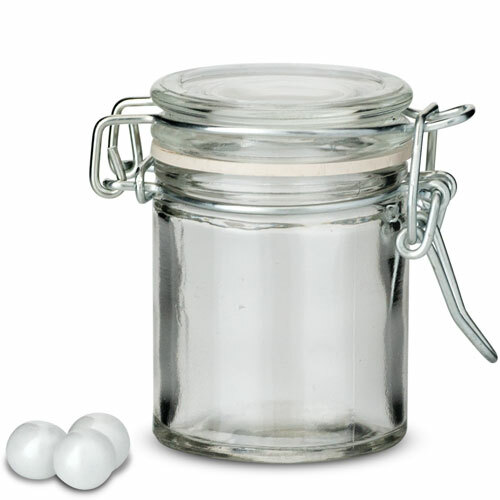 A: As there is a seal included on the lid, these bottles will hold liquid without spilling. 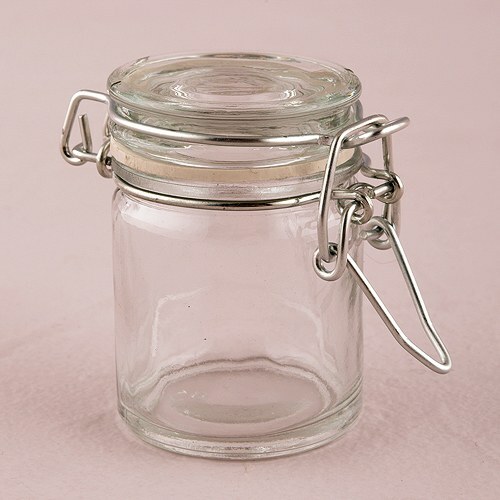 Q: Can these mason jars be used with home-made jam? 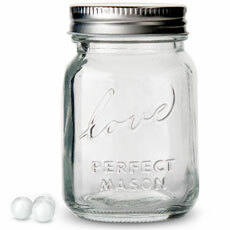 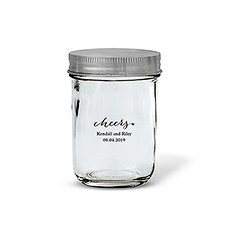 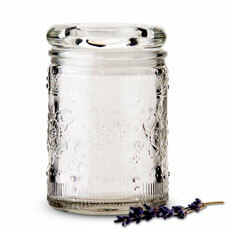 A: These miniature mason jars are well suited for packaging small amounts of any food products including jam. 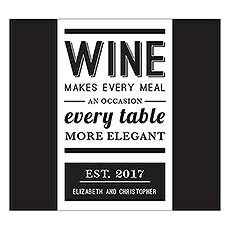 As with any new item that will come in contact with food, it is highly recommended the item be thoroughly washed with dish soap and water prior to filling. 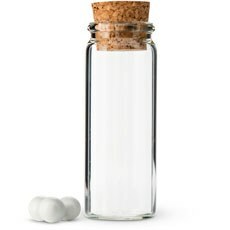 Q: How many ounces does this bottle hold? 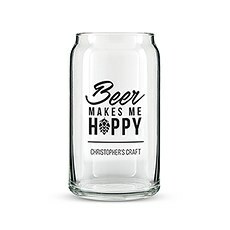 A: It holds approximately 1.5 ounces.